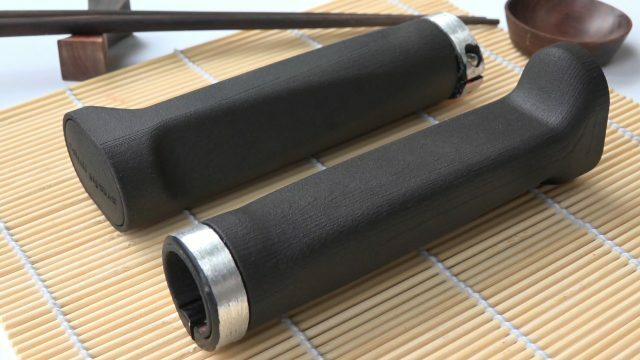 It’s called a Sushi Grip, and the inventor is currently seeking funding via Kickstarter. 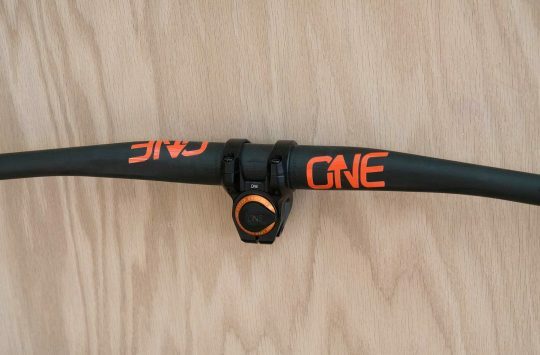 That’s not a tiny bar end; it’s an end stop and, with the tapered shape, is designed to let you push and grip harder on your bars, apparently getting more control of your bike in the process. The taper allows your ring and pinky fingers to grip harder. 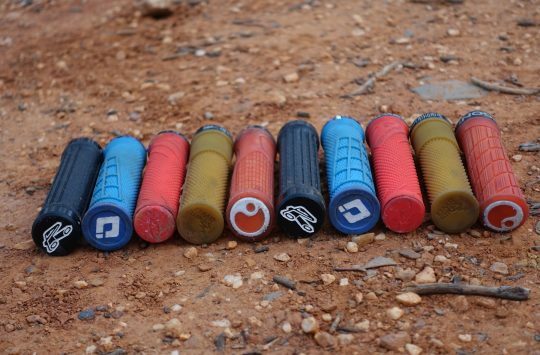 We started out somewhat sceptical when looking at these, and would have to try them out to be sure, but having ridden two-finger brakes and realised how little grasp a ring and pinky finger can exert by themselves on a fat grip, the Sushi Grips do kind of make sense. It’s not that those two fingers lack strength, but that their highest grip range is generally on things smaller than a standard grip. 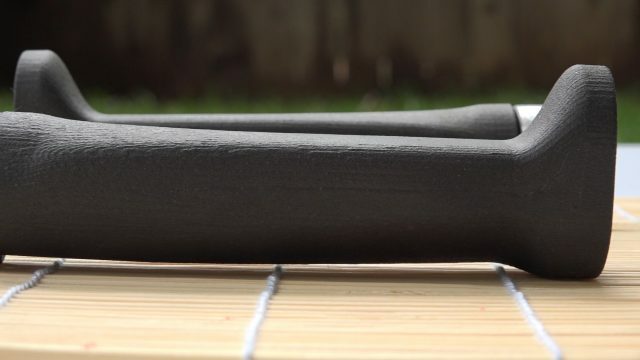 That’s where the inventor of these grips was coming from when he first designed them, apparently realising when he picked up a conical sushi roll and saw his natural hand shape. 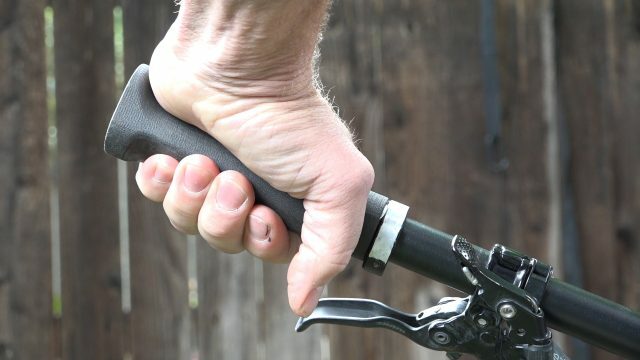 Each grip adds 65mm to the length of your handlebars. To get that taper down below the 22.2mm of a standard handlebar, the grip sits off the end and adds 65mm onto the width of the bar. 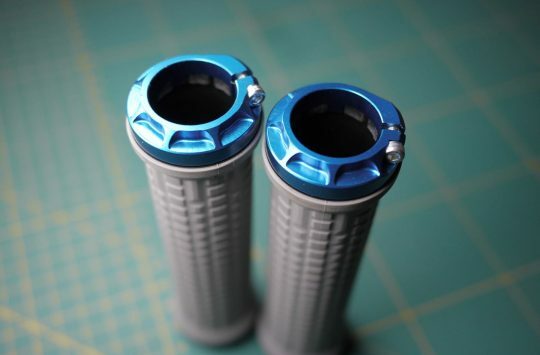 So, unless you want really wide bars, you’ll have to shorten some to achieve your ideal width while using these grips. As well as the taper, the end stop allows you to put more counter-pressure on your inside grip in corners, speeding up your turns. They’re also saying the top surface is shaped to relieve pressure on the palms. The end stops allows you to put more pressure on the bars in corners. At present, they’re showing 3D printed prototypes but say the design is finalised after many rounds of prototyping and testing with different riders. We’re very curious to try a set, and for now you can support them in Kickstarter, or find out more on their website. 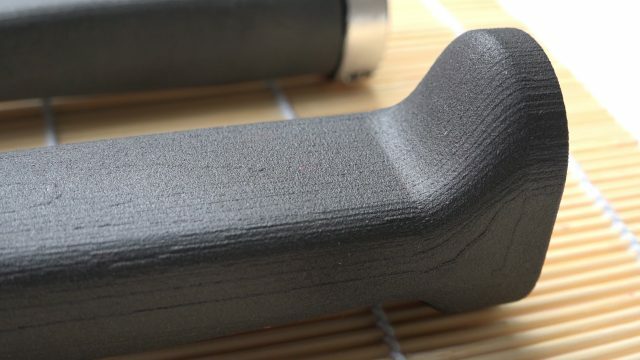 These look 3D printed, but apparently the latest prototypes have been injection moulded, and they’re ready to send the design into production – they just need the funding. “Sean Madsen is a world-renown cycling biomechanics expert who has worked with 4 Tour de France winners, over two dozen UCI World Champions, 4 Kona Ironman victors and over 12,000 athletes of all abilities during a career spanning 20 years. Initially working in retail locations in Colorado, his quest for knowledge lead him to further education in biomechanics, and then as Chief Biomechanist at the prestigious Boulder Center for Sports Medicine. For 5 years he studied under the founder of modern bike fitting, Dr. Andy Pruitt PA EdD. Performing medically based bike fitting using one-of-a-kind motion capture technology further refined his ability into one of the world’s best. Sean then moved to California to create and grow Specialized’s Body Geometry Fit program. “Sean has taught thousands of fitters worldwide to enhance their rider’s cycling enjoyment. He is one of the foremost experts in aerodynamic testing of cyclists, working with over 200 athletes in the wind tunnel and over 100 more in velodrome validation testing. He is a gifted presenter and educator, and has delivered dynamic and engaging presentations at many consumer and industry events including International Cyclefit Symposium, Medicine of Cycling conferences, and the Interbike trade show. His client list is a veritable who’s-who of cycling; Peter Sagan, Alberto Contador, Vincenzo Nibali, Tom Boonen, Mark Cavendish, Michal Kwiatkowski, and over 100 others in the UCI ProTour have benefitted from his expertise. He has also worked with dozens of elite triathletes including Javier Gomez, Chris Macca McCormick, Chrissie Wellington, Jan Frodeno. Making the fastest riders a little faster is fun, but creating ways to help the average, or even challenged, rider become a life-long cyclist is the most rewarding. I couldn’t agree more, that a lighter touch is better. In fact, that’s what these grips allow you to do. By properly engaging more fingers the demand is spread across more muscles, allowing each individual muscles to “share the load.” Ive had dozens of riders in testing and all have reported a lighter grip, with less forearm fatigue, than a traditional round bar. The concept seems sound but the problem I see is that the price of just trying these out is a pair of handlebars. Are many people going to be prepared to take the risk and cut down a pair of fancy Renthals or even a moderately priced set of bars with the chance they might not get on with them? Another concern is how secure they are given that pressure on the ends would act to lever the grip off the bar unless there is some kind of insert that sits inside the bar itself. Weirdly, when I’ve observed how I grip the bars I’ve found I’d prefer the outer bit of the grips to have a larger diameter than the inner parts.When I got some Ergon GD-1s because of their tapered design I ended up not getting along with them but that didn’t seem to be related to the taper.